Defend the Archive! is the latest novella by radical author Saab Lofton. It is a far-future space opera set principally on a space station, the Archive of the title. I want to avoid spoilers at this point, and hope to do a more in-depth review later. What I want to emphasize at this point is that Defend the Archive! will be of interest to fans of Star Trek, and to people with an interest in anti-racism, freedom of speech, and non-violence. The novella is set in a far-future society that is utopian, at least compared to ours, but which is not without its internal conflicts and external threats. And it centers on an unarmed space station that is threatened with destruction. 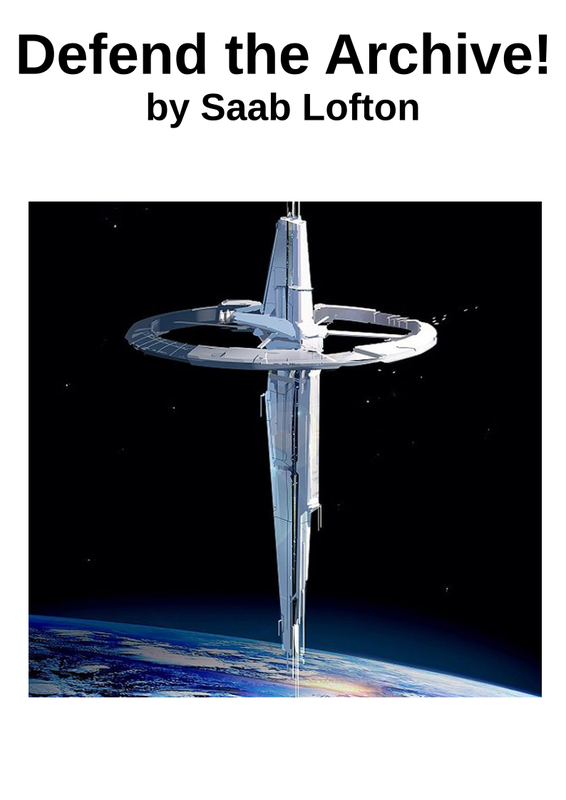 These things together are reminiscent of Star Trek: the Next Generation and Deep Space Nine in particular, but Lofton’s future society is sufficiently distinctive that the similarities never feel derivative. It’s a quick read at around 100 pages, but you may wish to come back to it, as there are more subtleties than might be apparent on the first read-through, especially if you get carried along with the plot.